Leading our growing Planning & Development support team as Principal Arboricultural & Planning Consultant, he is advising our clients on trees in relation to planning and construction projects and urban regeneration. His knowledge of current British Standards (BS:5837:2012) is an excellent addition to our growing team of experts. Matt’s previous experience as Head of Place Services at Essex County Council and his knowledge of the planning system means he is excellently qualified for this role. 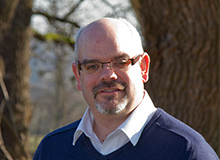 Matt is a Chartered Town Planner & Chartered Arboriculturist with experience of managing multi disciplinary projects involving Arboriculture, Ecology, Landscape and Urban Design, Building Conservation & Archaeology.